GEARS! GEARS! GEARS! 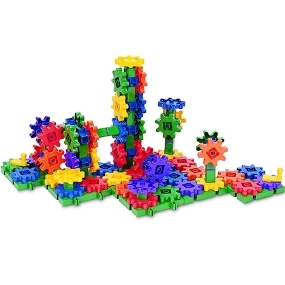 – also a great tool for mastering basic skills. 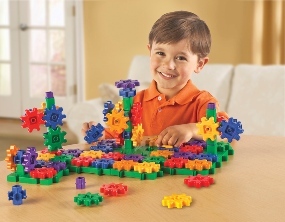 While your child engages with his favorite construction toy, he’s developing hand-eye coordination and handwriting muscles. He thinks he’s playing but he’s also learning colors, cause and effect and the concepts of push and turn.